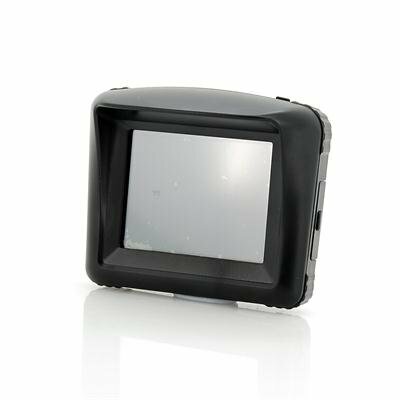 Successfully Added 3.5 Inch Motorcycle GPS Navigation System - Waterproof, 4GB Internal Memory, Bluetooth to your Shopping Cart. Next time you are on your motorbike, make sure you know exactly where you are going with this excellent motorcycle GPS navigation system. 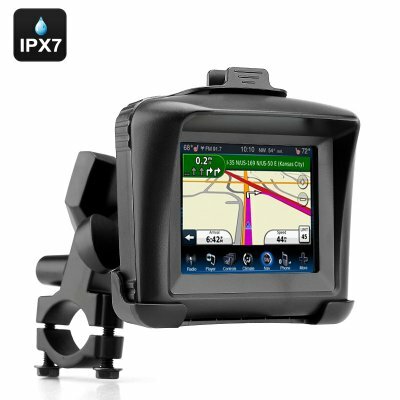 With a waterproof design and an IPX7 rating, you can ride out in any weather conditions without the fear of this GPS being damaged by what natural element falls out of the sky. This GPS unit not only tells you where to go or how to get there but also can be used as a speaker, for reading eBooks plus it supports various kinds of audio, video play and photos. Use the navigation to find the quickest route or highlight points of interest that may enhance your road trip. The operating system is the very familiar Windows, so you will not feel lost when operating it as Windows dominates the computer industry. Store all your information or data on the 4GB of internal memory that comes built-in on this navigation system. Bluetooth is present so connectivity can be done so you use other Bluetooth compatible devices to sync up to this motorcycle GPS unit. For power, this GPS motorcycle system has a 2000mAh Rechargeable Li-Polymer Battery that provides ample journey time, plus you can actually hook it up to your motorcycle’s battery for power.